Good morning! Well since I last blogged about 3CX on Azure a lot has changed in the world of 3CX. Namely, 3CX V15 was released in the last quarter of 2016 for GA. As a 3CX partner we had access to the beta release and we were able to test it again on Azure. 3CX V15 works great on Azure, there is no multi-tenant version moving forward from V14, so the port requirements that I had blogged about earlier are now gone. 3CX V15 uses HTTPS and regular SIP ports, so there is no need for 1:1 NAT mappings to multiple ports like there was on V14. 3CX has also released the Linux version of the PBX and it is not for Linux novices in my opinion. For a hosted PBX voice solution the 3CX V15 Linux boxes have a very small footprint and is designed with hosting providers in mind. 3CX is moving their model to be more cloud friendly on Azure and AWS. There are some concerns I think that need to be addressed though. Setting up 3CX right out of the box is simple and you can literally have it up and running in less than 30 minutes. However, there are many other considerations to be made. More often than not you will need a deep understanding of the IT Infrastructure as a whole. The specific Architecture needed for your business will need to be considered and mileage may vary greatly! Stick around and read my next article on what those pitfalls are and how in a broad sense of how to overcome any obstacles that may be blocking your path.  Austen Consultants has the experience to help you overcome your PBX challenges. There is a good reason to hire a professional seasoned company like ours…to save money! Sure, you can setup an Azure subscription and spin up a 3CX box in minutes, but then what? We know Azure and we definitely know 3CX. So if you are considering moving to Azure to host your 3CX box give us a call and we will save you a lot of time and headache getting that goal accomplished.